Learning to sculpt a face can seem so daunting but with Liz’s formula for sculpting realistic faces, you’ll be on your way in no time. 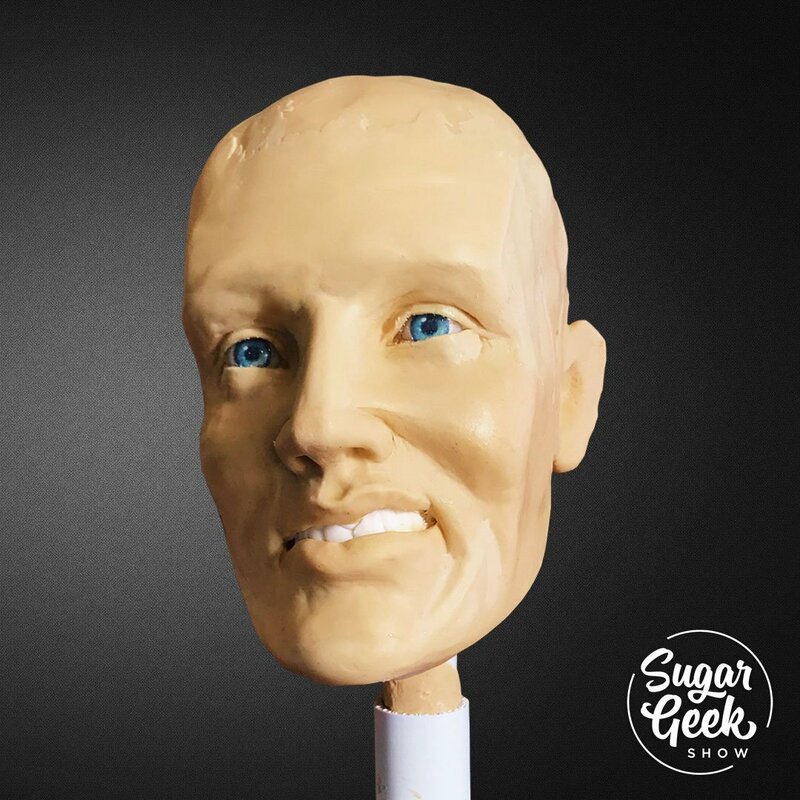 Learn how to sculpt a male face using Liz’s chocolate skull mold, realistic sugar eyes and artist calipers. Learn how to keep proportions check your work and even tips for getting sculpting a portrait. People have been begging me to create a male face mold tutorial, so what better male face to use as a basis for our study than Elvis?! Elvis has a very ‘traditional’ male face with some features that carry over to a lot of other male faces, which can easily be adapted or tweaked to your liking. Learn how to create the eyes, nose, lips, ears, cheeks, chin and hairline in this sculpting tutorial.